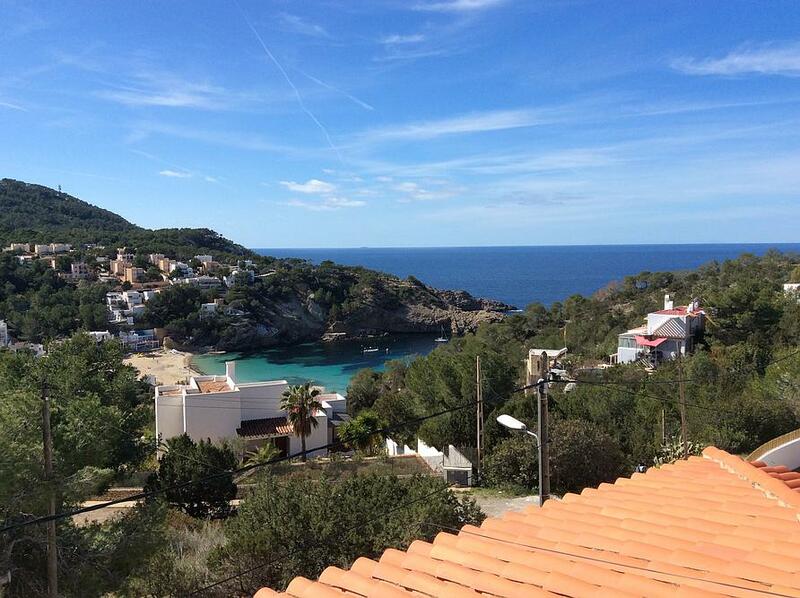 You can see the sandy beach, beach bars, and pretty turquoise cove of Cala Vadella from the poolside and terrace of Vista Cala Vadella. 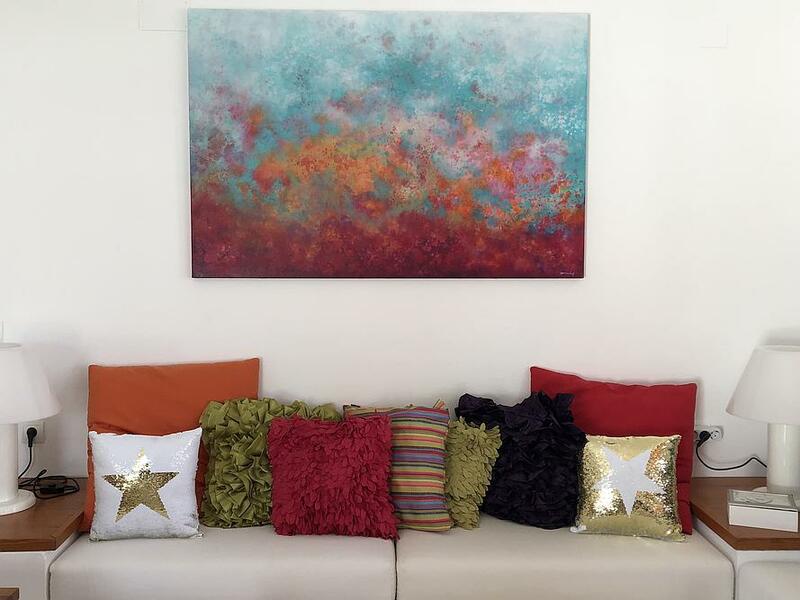 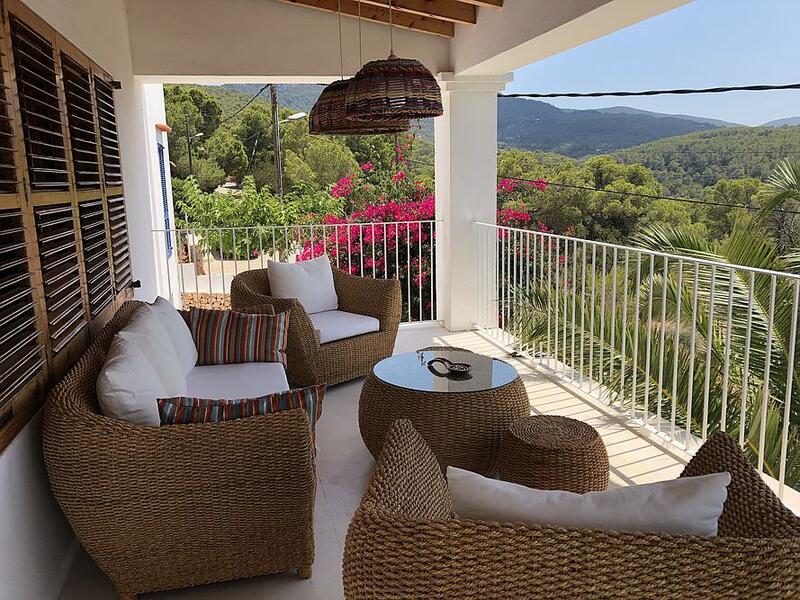 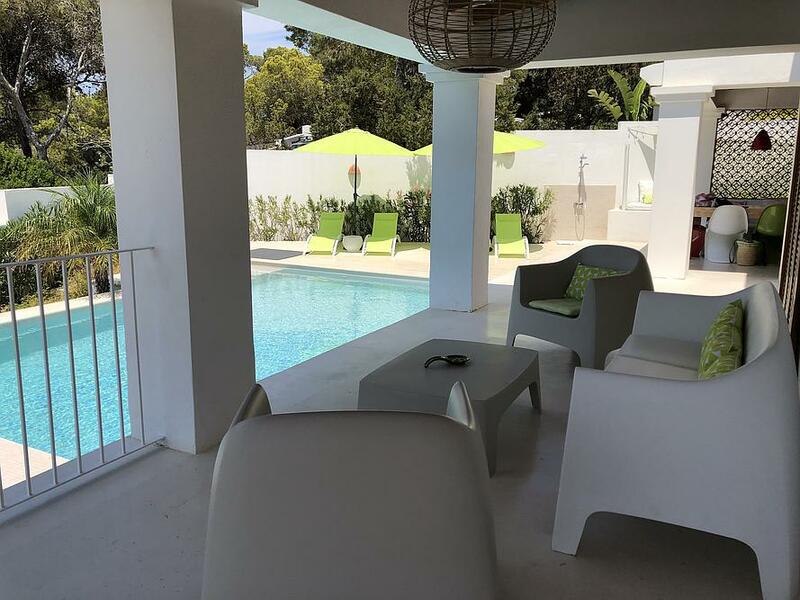 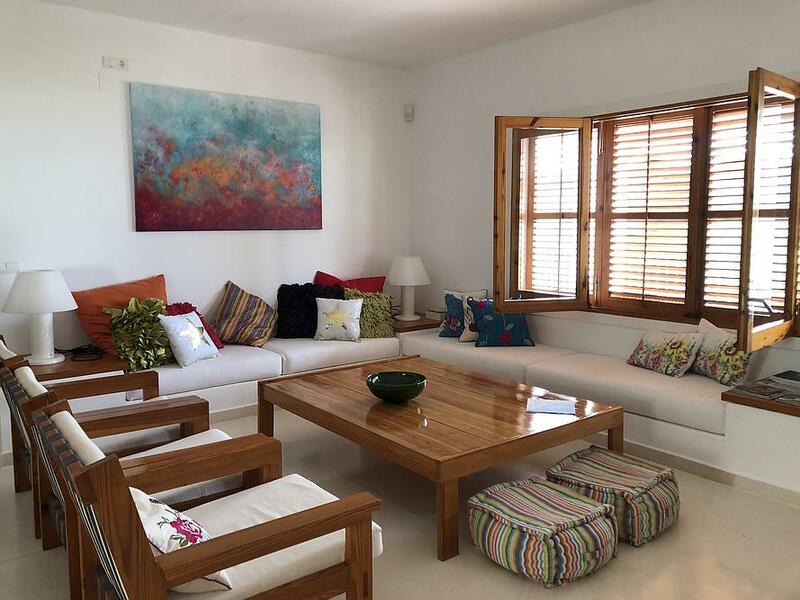 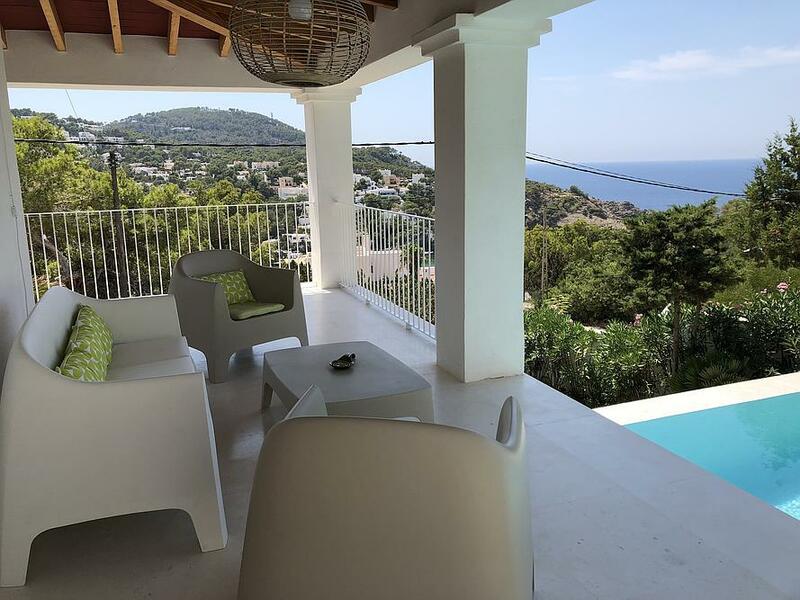 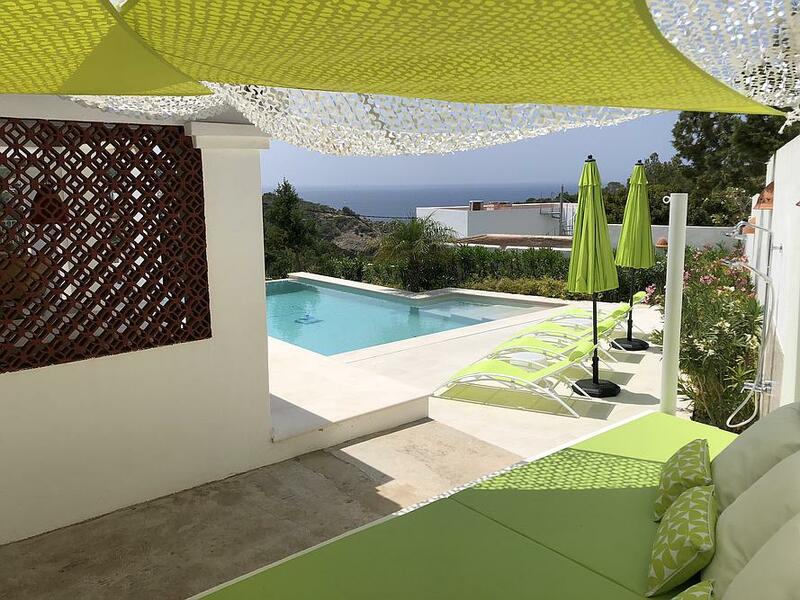 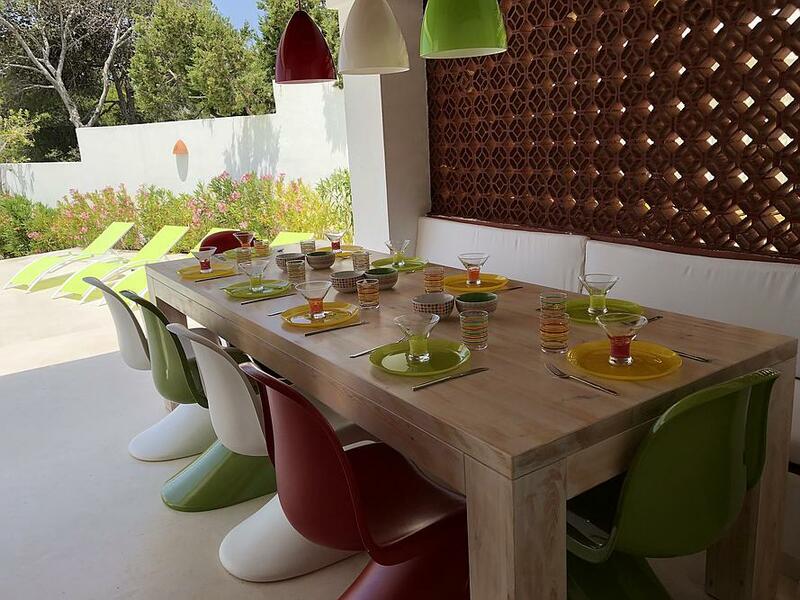 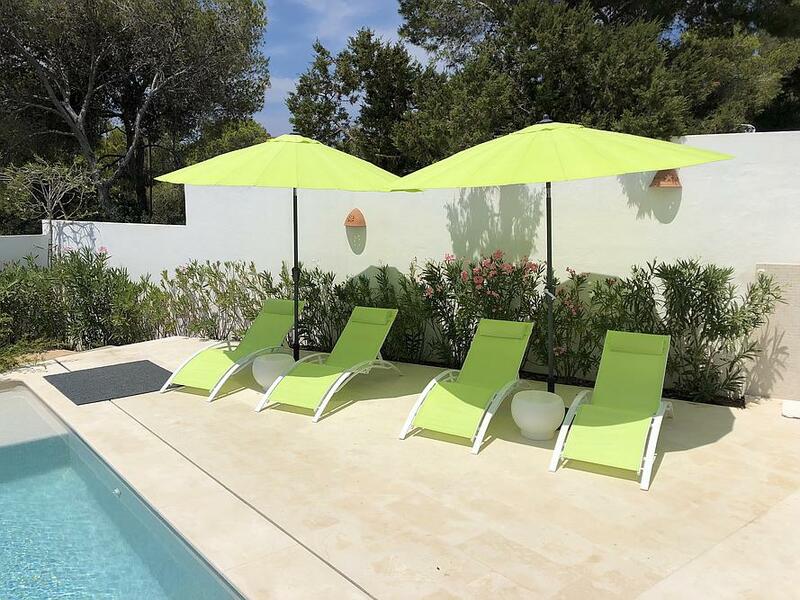 Surrounded by flower-filled gardens, this Ibizan villa is perfectly located to enjoy the restaurants, pretty beach and tranquil waters in this quaint, family-friendly beachside town. 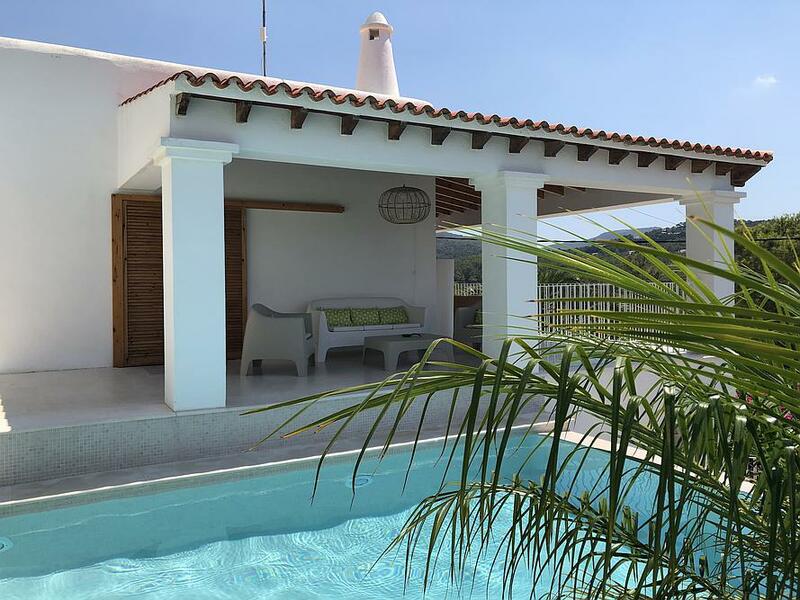 Take a dip in the infinity pool with beautiful views across the rooftops to the blue waters of the Mediterranean. 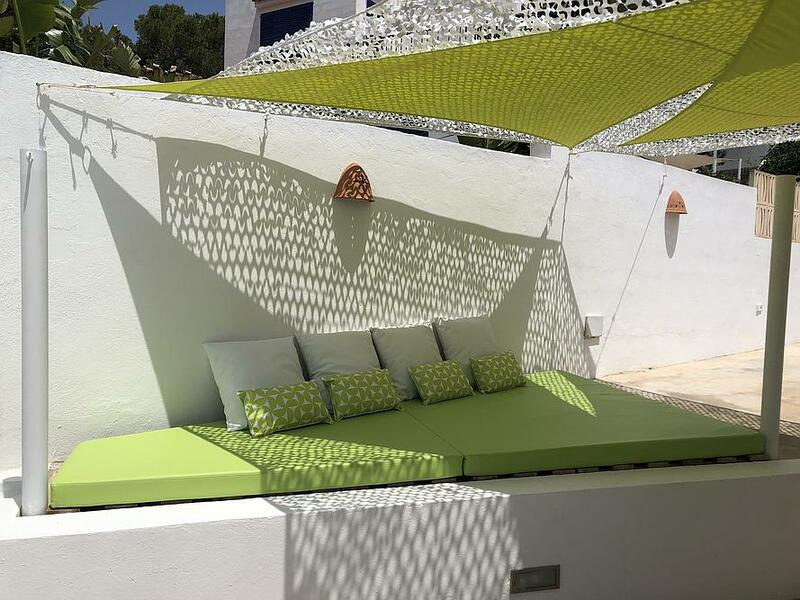 Dry off in the sofa seating and loungers by the pool or relax amidst the flowers in the property’s generous gardens. 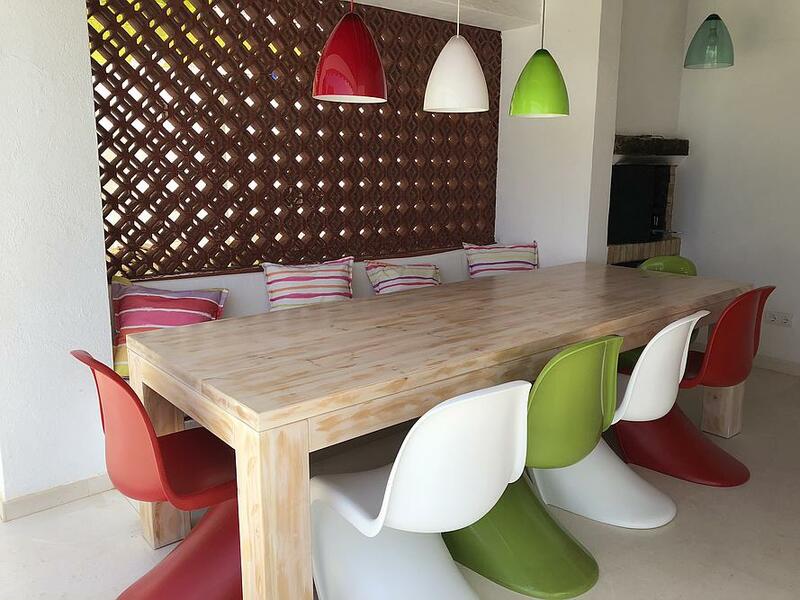 A sheltered outside dining space includes a wood-fired barbeque and affords more beautiful pool and sea views. 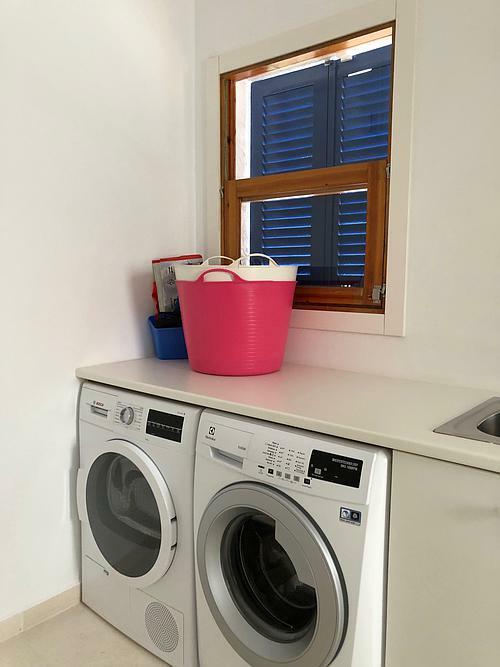 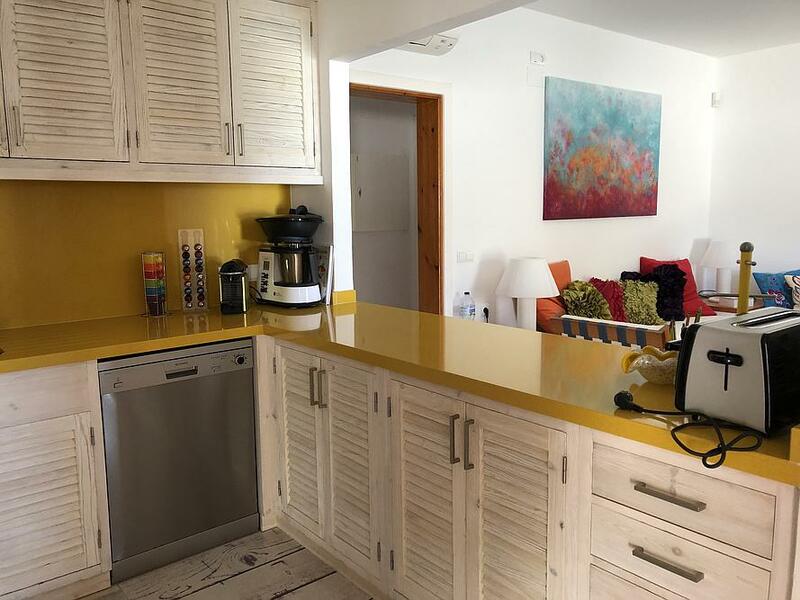 Inside, you’ll find a large, bright and well-equipped kitchen, and the large living area has corner seating plus a Smart TV, PlayStation 3 and a Wii with games. 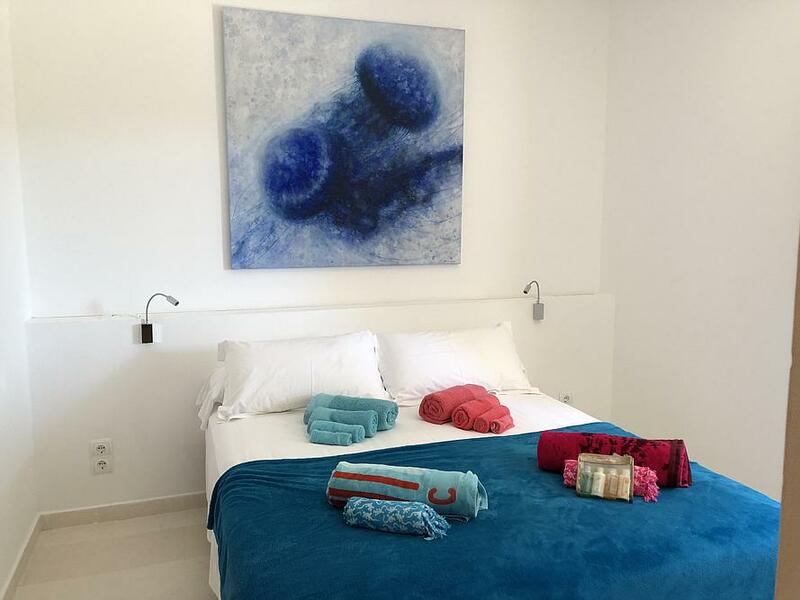 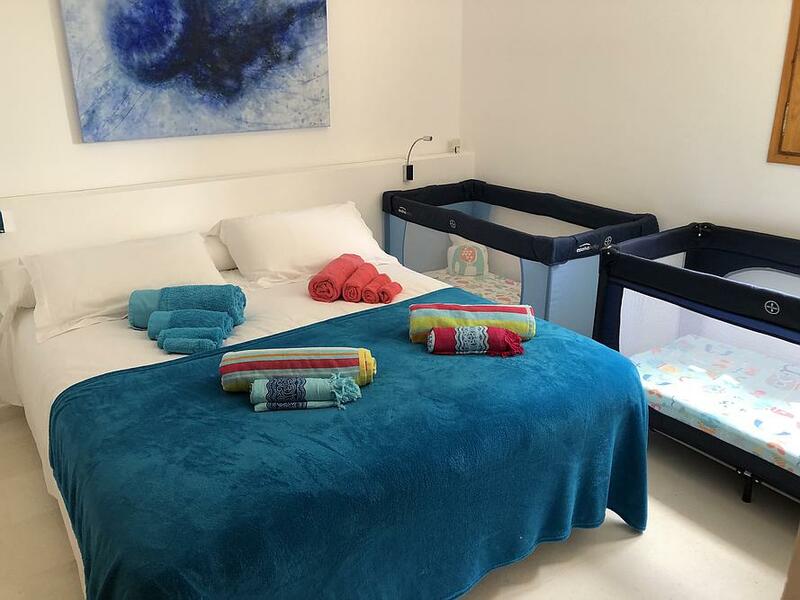 The versatile bedroom accommodation consists of a double room, two twin bedrooms, and a single bedroom with access to the terrace; between them they share two bathrooms. 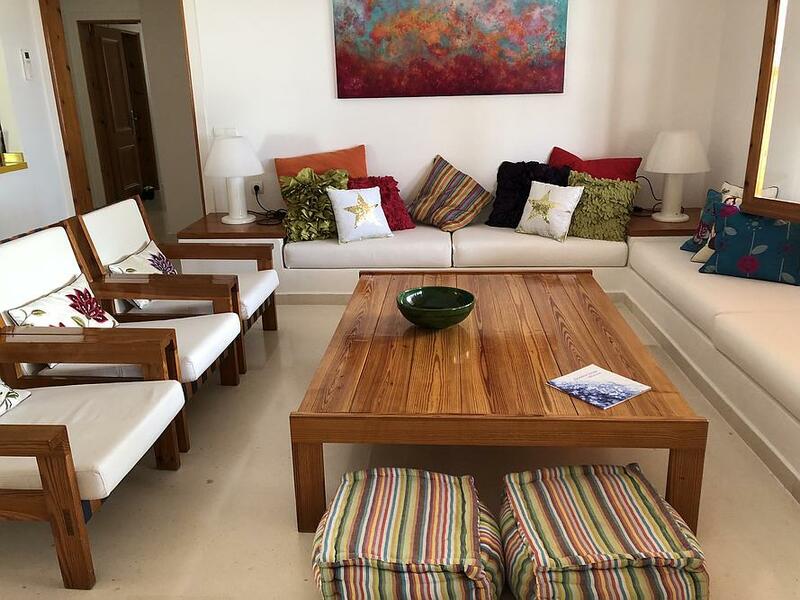 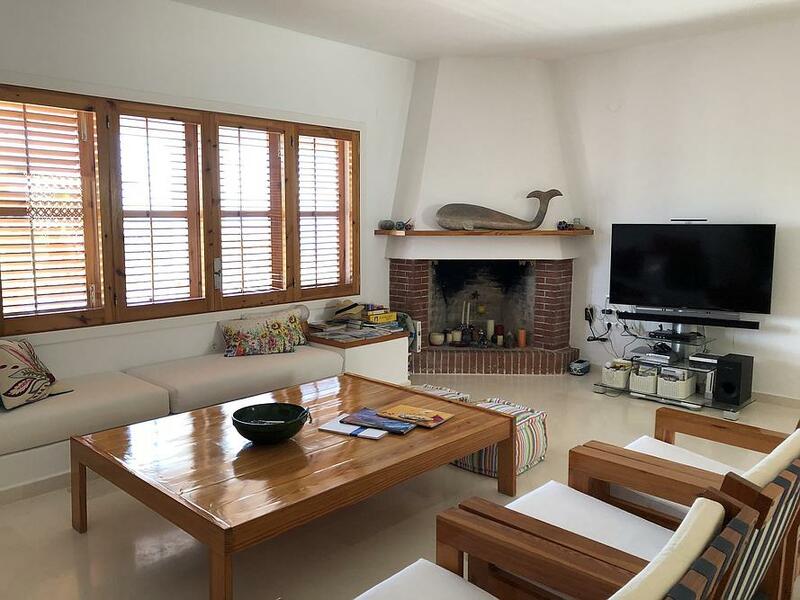 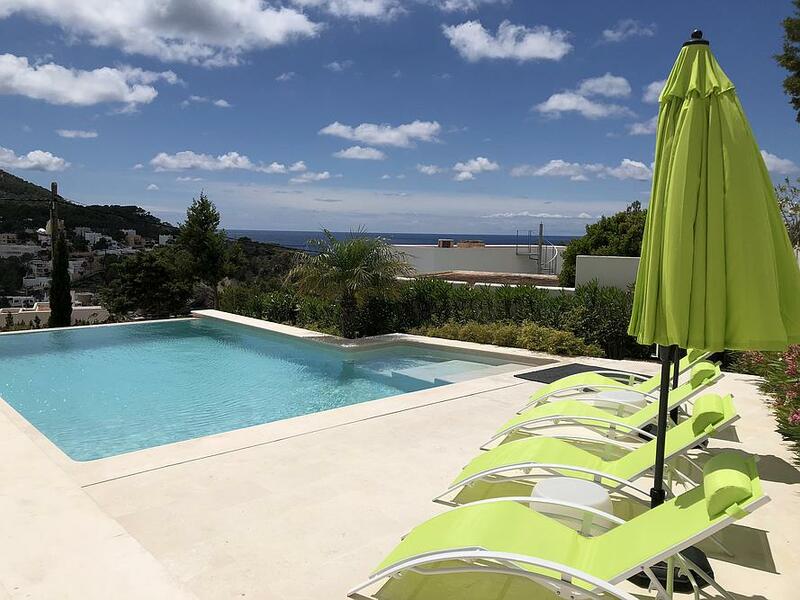 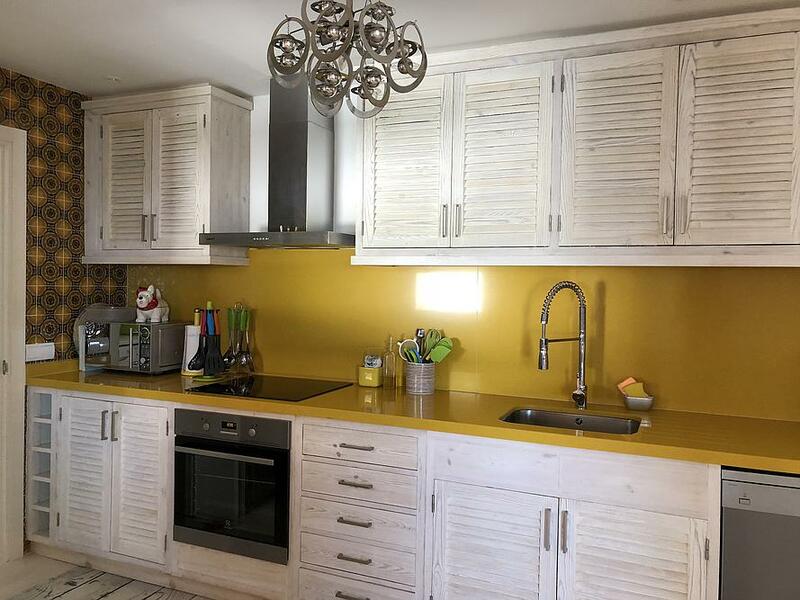 This Ibizan holiday home is a great choice for families or groups who value the private pool and garden space but wish to remain close to the amenities of Cala Vadella. 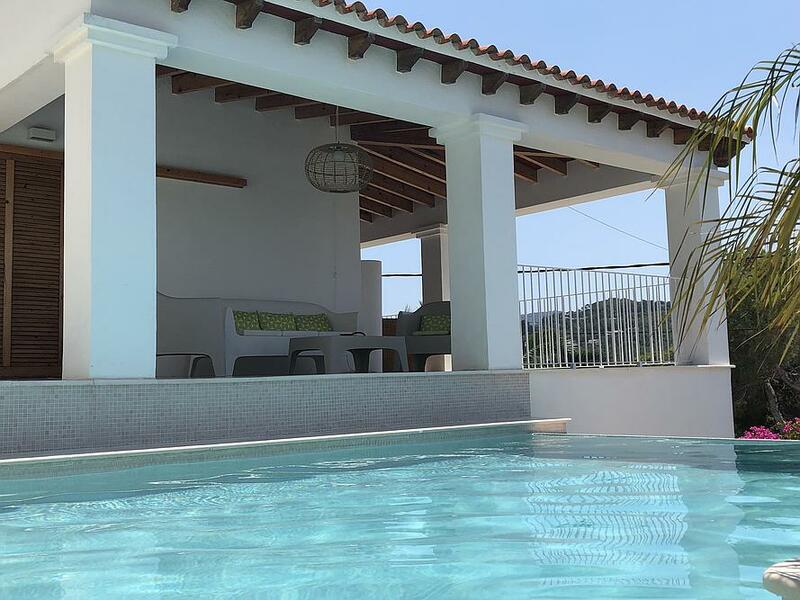 Take a dip in the infinity pool with beautiful views across the rooftops to the blue waters of the Mediterranean. 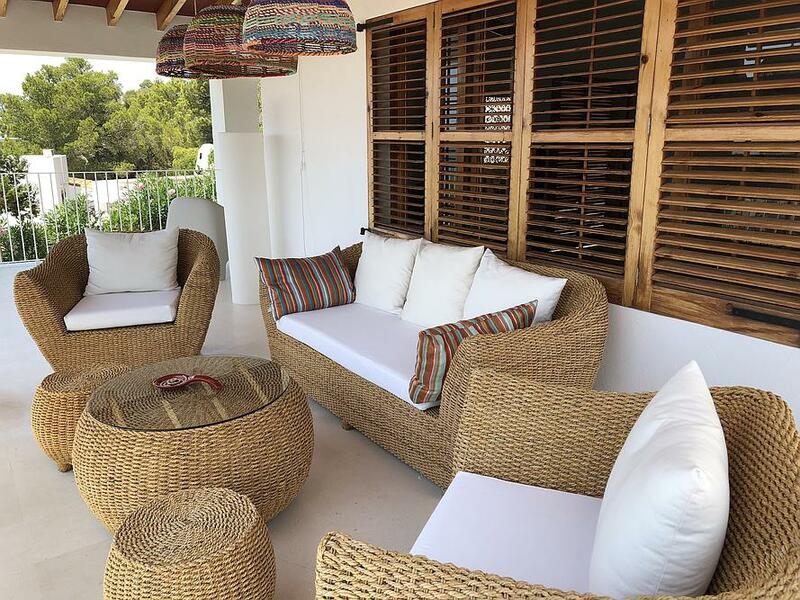 Dry off in the sofa seating and loungers by the pool or relax amidst the flowers in the property’s generous gardens. 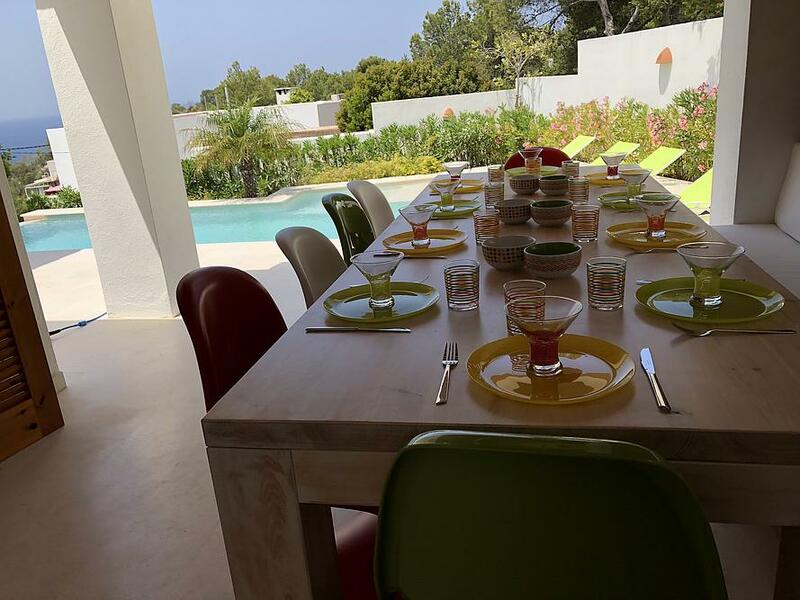 A sheltered outside dining space includes a wood-fired barbeque and affords more beautiful pool and sea views. 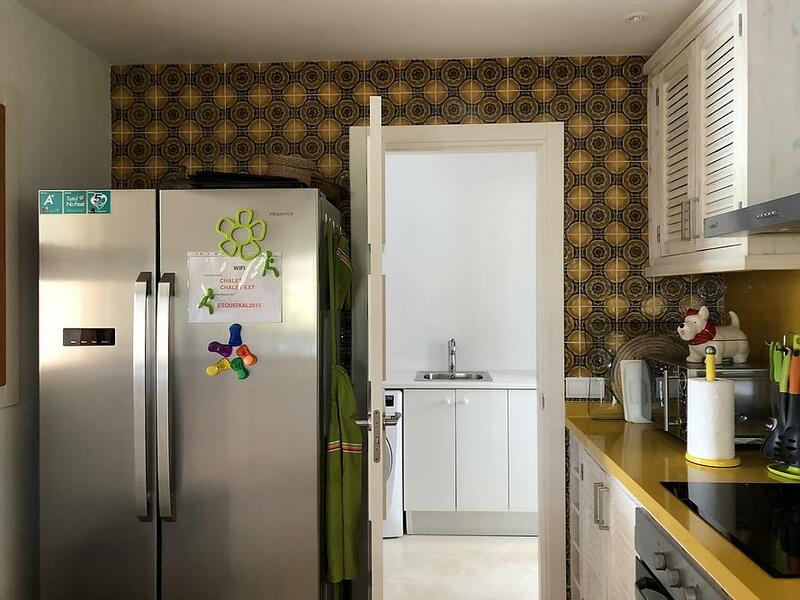 Inside, you’ll find a large, bright and well-equipped kitchen, and the large living area has corner seating plus a Smart TV, PlayStation 3 and a Wii with games. 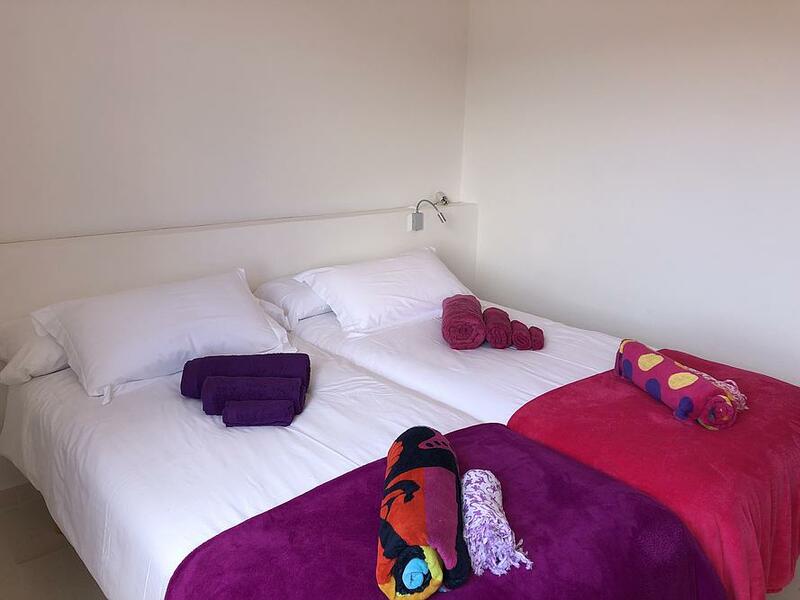 The versatile bedroom accommodation consists of a double room, two twin bedrooms, and a single bedroom with access to the terrace; between them they share two bathrooms. 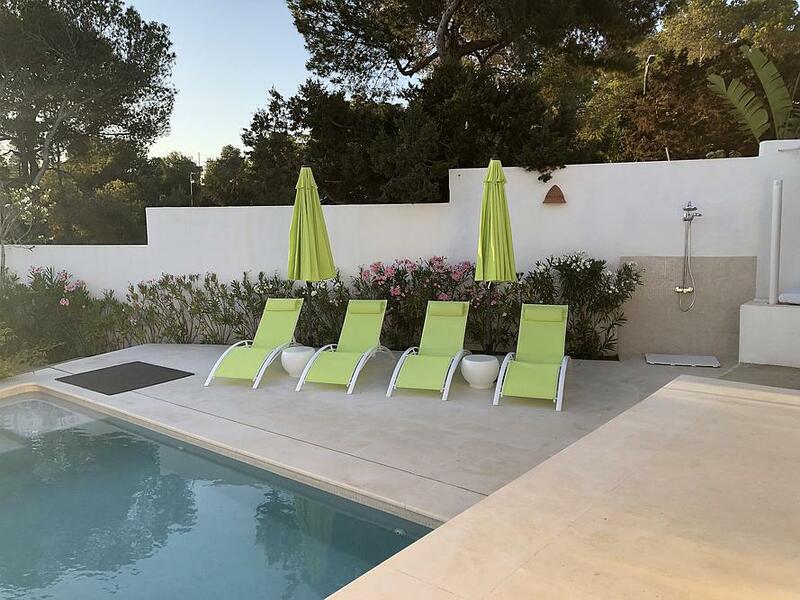 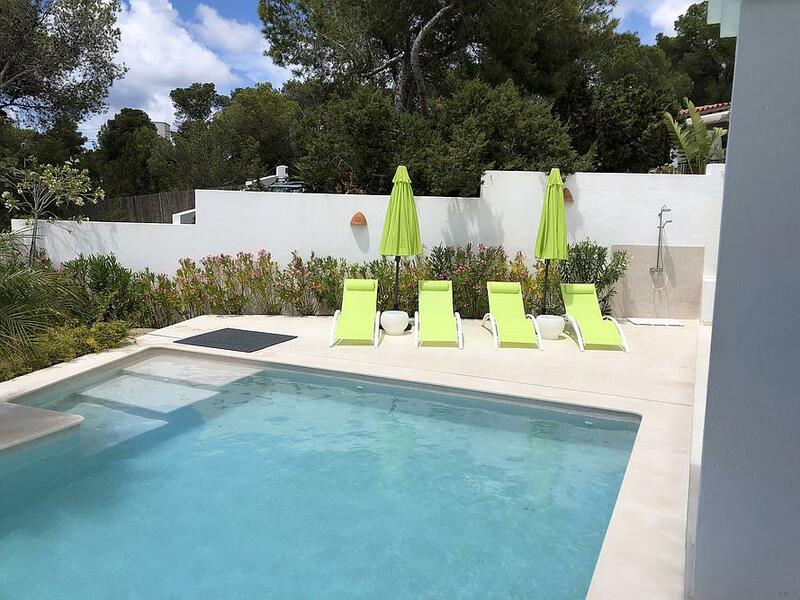 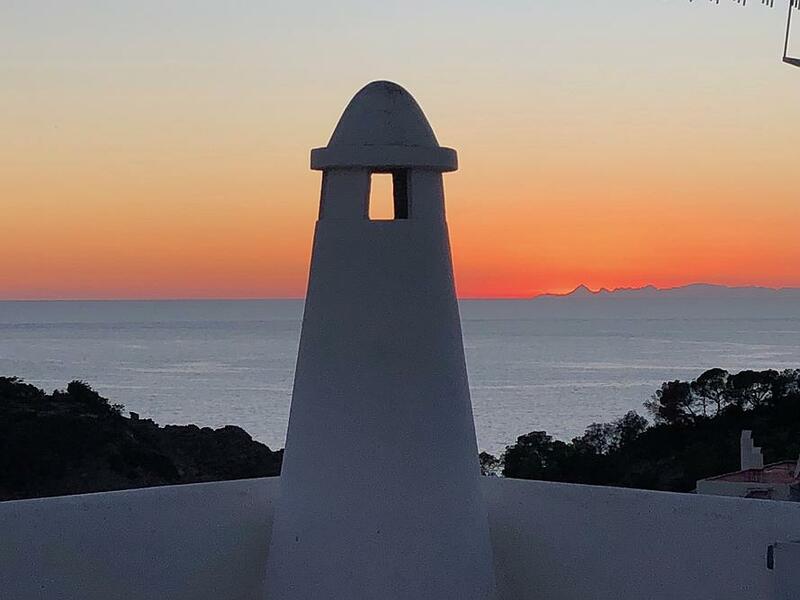 This Ibizan holiday home is a great choice for families or groups who value the private pool and garden space but wish to remain close to the amenities of Cala Vadella.